Offering you a complete choice of products which include industrial anti fatigue mats, anti fatigue mat and rubber black anti fatigue or floor ergonomics mats. 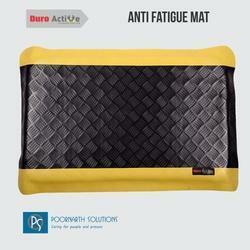 Duro Active Anti-fatigue Mat has been ergonomically designed, to cater specifically to the segment of the workforce that spends long hours at work in standing posture. 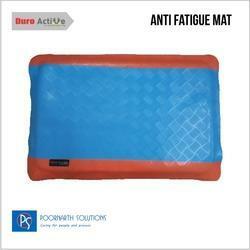 Its anti-fatigue property coupled with the cushion effect makes Duro Active an ideal footrest for the user. The ergonomic design enhances blood flow to the legs, thereby reducing pain. Duro Active is a recommended product across industries like retail, hospitality, printing & packaging, healthcare, beauty & Salon etc.